Real Estate fans are so lucky. The band has released a new album every two-three years since 2009’s self-titled debut. More important: they’ve got lovely songs. 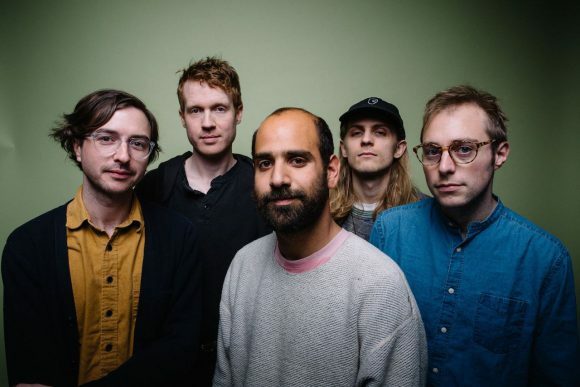 Although Real Estate recently lost one band member with the exit of a founding member, guitarist Matt Mondanile, they gained a new guitarist, Julian Lynch. That’s old news to Real Estate-followers, I am sure. And then, the new album, In Mind, which you’ve probably heard? You will want to hear that live. But before I go, I need to mention that the group has something on their site I have never, ever seen before. It’s an interactive video version of their song “Stained Glass.” You can color the video yourself! This is the link. Written by: Dagmar on 02/19/2018. This entry was tagged posted by dagmar, real estate. Bookmark the permalink.